New Details on Build-a-Snowman & Participating Venue Activities Announced! CHICAGO, IL (November 26, 2013) – The West Town Chamber of Commerce and Wicker Park Bucktown Chamber of Commerce are urging big chain holiday shoppers to refocus attention on the small businesses in one of the most charming retailer corridors, West Division Street in Wicker Park. 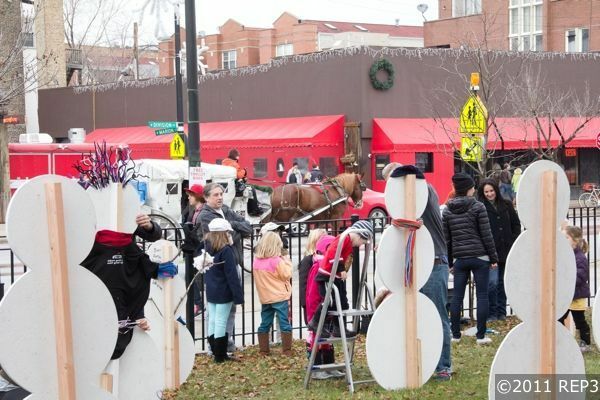 On December 7th & 8th between 11 am and 6 pm, Division between Ashland and Leavitt is transforming into Do-Division Holiday, a neighborhood “festival-like” atmosphere unlike anywhere else in the city or suburbs this holiday season (division.com/do/holiday). The free event invites holiday shoppers to take time this season to shop small while also having fun. The Build-a-Snowman event is the family centerpiece of weekend activities (new details included herein), which also include free “jolly trolleys,” exclusive sales, charity-tie ins, complimentary drinks and food, caroling and much more. At the core of Do-Division Holiday are the independent, locally-owned businesses that line West Division’s iconic extra wide sidewalks. Up to 35 participating shops, restaurants, salons and boutiques along the route will come alive with exclusive features and seasonal cheer for the weekend of December 7th and 8th. Custom [wooden] Snow-man making and custom wreath sales & decorating activities for kids and families at LaSalle II Elementary School on Division (new detailed section appears below). Free ‘Jolly Trolleys’ with holiday drinks served to transport Michigan Avenue Holiday shoppers to Division Street Corridor all weekend long! More info on Jolly Trolleys below. FREE bowls of piping hot Smoke Daddy chili for anyone who brings a wrapped gift to donate to children’s charity. All gifts should be placed under the 20-foot Christmas tree Smoke Daddy will have erected on their front patio (1804 W Division). Free wine sampling and other complimentary holiday bites at participating retail stores. Mulled wine for sale at trolley stops along Division. Stroll along the event route with your wine glass while you shop! Holiday window decorations galore (Time Out ran a story the other year on Do-Division Holiday’s impressive window decorations…calling a window-walk here a smart alternative to State Street). LaSalle II Elementary has a series of holiday events in conjunction with Do Division Holiday, with the annual Build-a-Snowman as the centerpiece. This year Build-a-Snowman will be on December 7th from 11:30-4:00pm in front of LaSalle II (at Division and Honore). 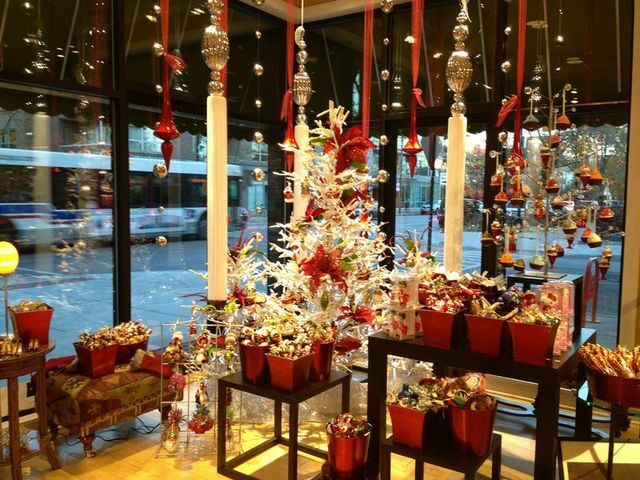 Join in more holiday fun with caroling, a bake sale, wreath-making and shopping. They supply plywood snowmen on stands and decorating materials will be available. You are then urged to use your imagination to personalize with anything you like (i.e., Basic Winter Duds, Superhero, Sports, Comical, Festive or just plain innovative). The Snowmen will be displayed along Honore & Division for the whole month of December. The cost is $75 per six foot snowman (decorations materials included), with proceeds benefiting LaSalle II PTO. Reserve your snowman early – they have a limited number available. To reserve a snowman contact Sarah Rudich at sarah.rudich@gmail.com. Do-Division Holiday bills itself as the largest interconnected holiday shopping event in Chicago, as free Do-Division Holiday jolly trolley rides will connect with Michigan Avenue’s shopping and tourist hubs (with stops at Pearson – East side of Michigan – and at Randolph outside Cultural Center). Jolly trolley hosts and hostesses will be on board distributing maps, guides, coupons and info for Do-Division Holiday. Do-Division Holiday jolly trolleys will run continuously from 11:30 am to 6 pm on both December 7th and 8th. For more information, visit division.com/do/holiday. This event is sponsored by WPB SSA #33.